I've made my self a new station with tracking turrets here and there, but I can't stock ammo. 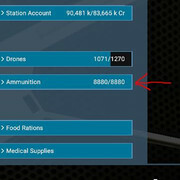 In the logical overview, Ammunition drop-down menu is not there. In another station with tracking turrets, there is plenty ammo and I can choose the type and auto restock options. 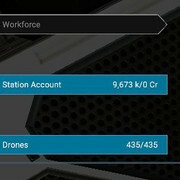 I tried to transfer missiles from a destroyer, but the station is not accepting missiles. I added a missile component module to the station and it had no effect. I added a pier for large ship docking and now I can make all of 10 missiles. Is a large pier a requirement for ammo production or was it just a coincident that I checked when the pier was done? I have a station that won't show any ammo also. It has L/XL piers, wharfs, Admin centres and multiple production modules all working fine and the manager and ship trader have been there for ages but never been able to see or access any ammo.